The weather is currently perfect. 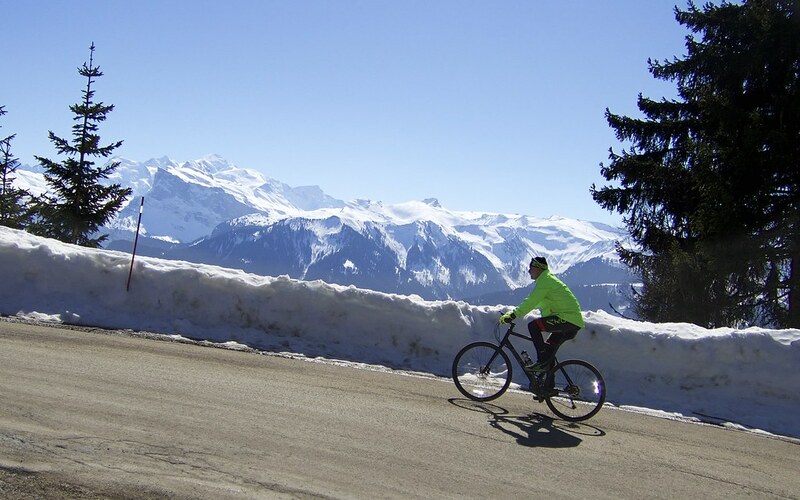 So I visited another of my favourite late-winter alpine cycling climbs. 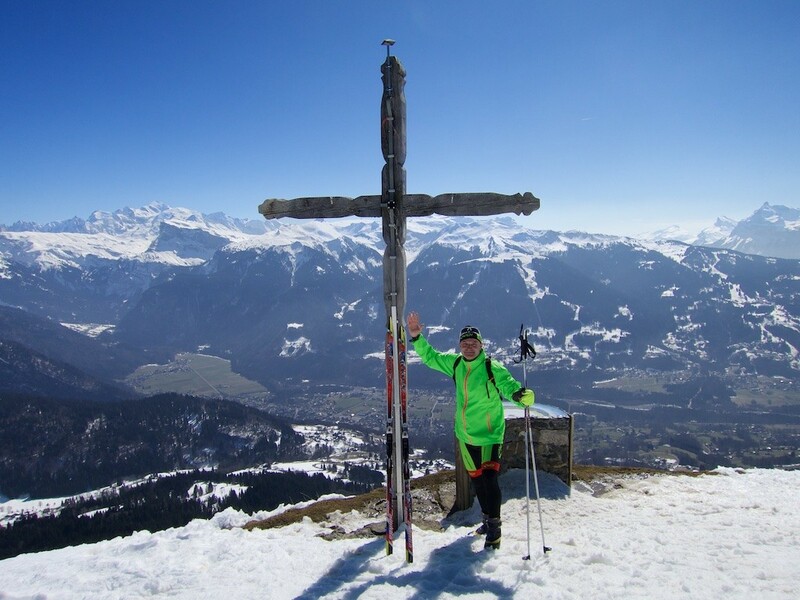 When the Cross Country Skiing conditions deteriorate down low in the Vallée de Haute-Giffre, the authorities sometimes clear the famous south-side road up to Col de Joux Plane from Samoëns to facilitate Cross Country Skiing at the summit. 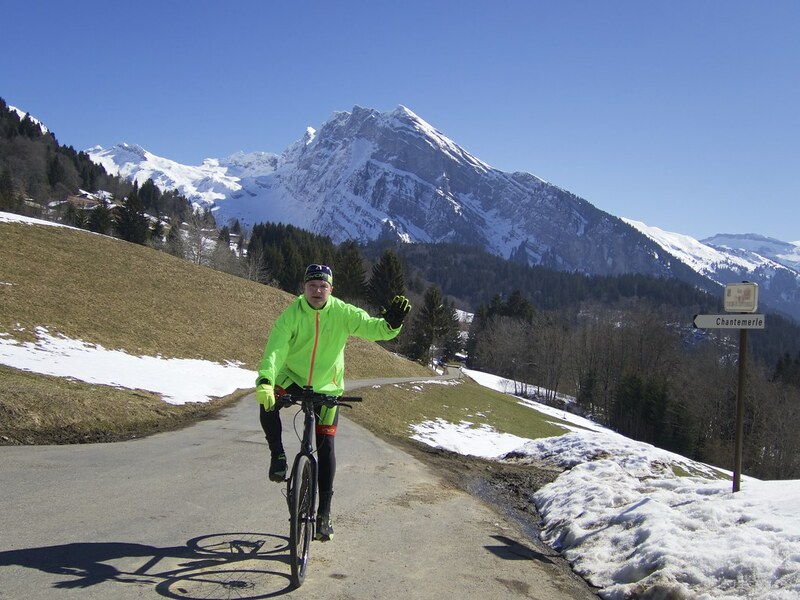 To be clear, the Morzine side of Joux Plane is closed – likely until May – it’s currently a downhill ski slope. Col de Joux Plane will be the final climb in Stage 16 of the 2016 Tour de France – perhaps deciding the race. It’s only 12 kilometres but the every changing grade – sometimes 4%, several times 13% or 14% – makes it a challenge. But a scenic challenge. 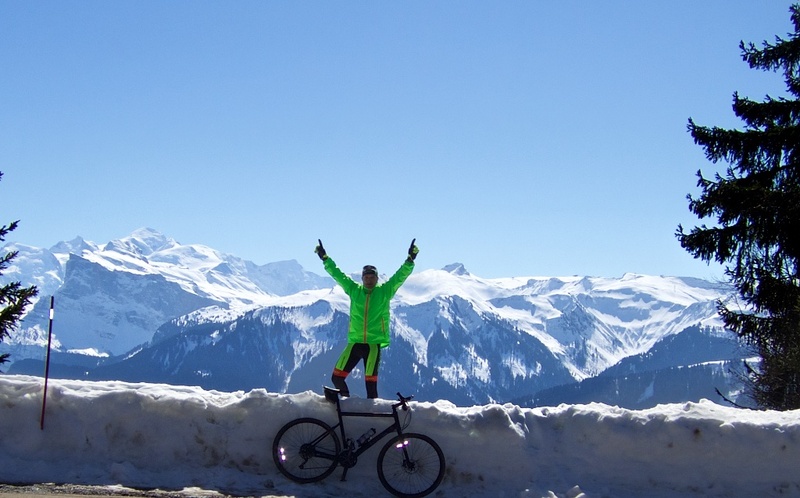 In summer, one of the great loops in the North French Alps includes Joux Plane, Col de la Ramaz, Col de la Joux Verte (Avoriaz), and Col de l’Encrenaz. Details here. A couple of kilometres from the summit is a long shaded stretch that can often have ice, but it was fine today – but descending requires attention here at this time of year. It’s become a minor, silly tradition to try and take a winter on-the-col-sign photo here. This is about as good as it gets. 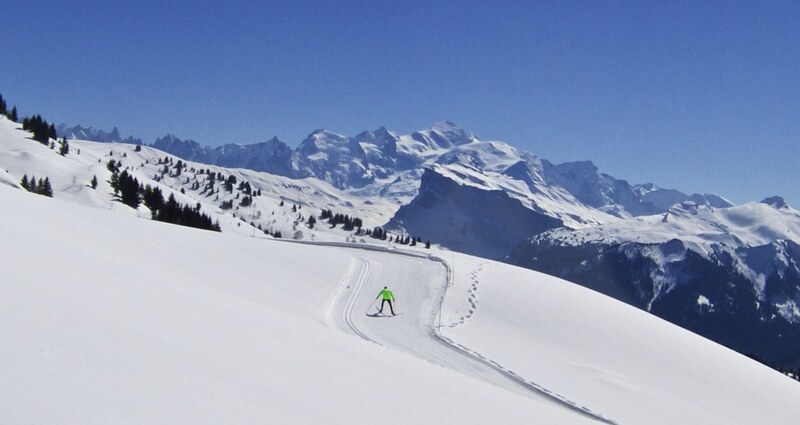 A challenging, quiet, famous road on a beautiful late winter day – and some XC skiing as an added bonus.